i love her dress and her braids! I think her bow and arrows are neat. The new lips do look a little strange, but there’s nothing terrible about how they look. And Paper Doll Garden isn’t online anymore. 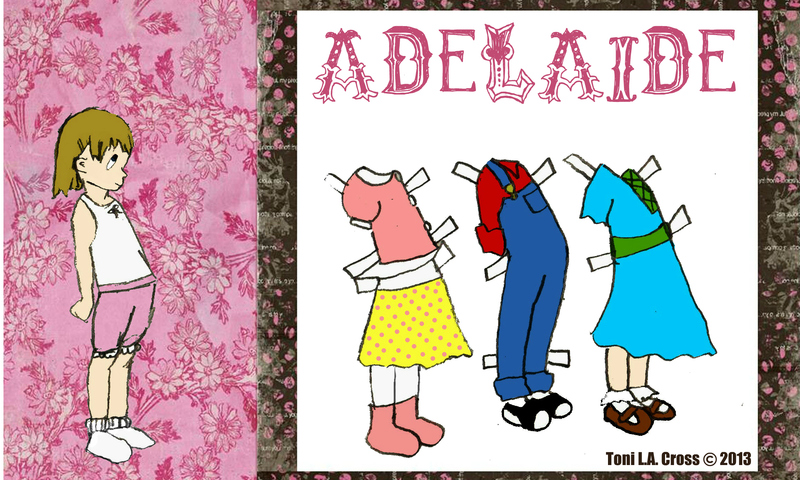 Thanks for letting me know about the Paper Doll Garden, B, I will remove it from my links page. I’m also sorry to see her go. 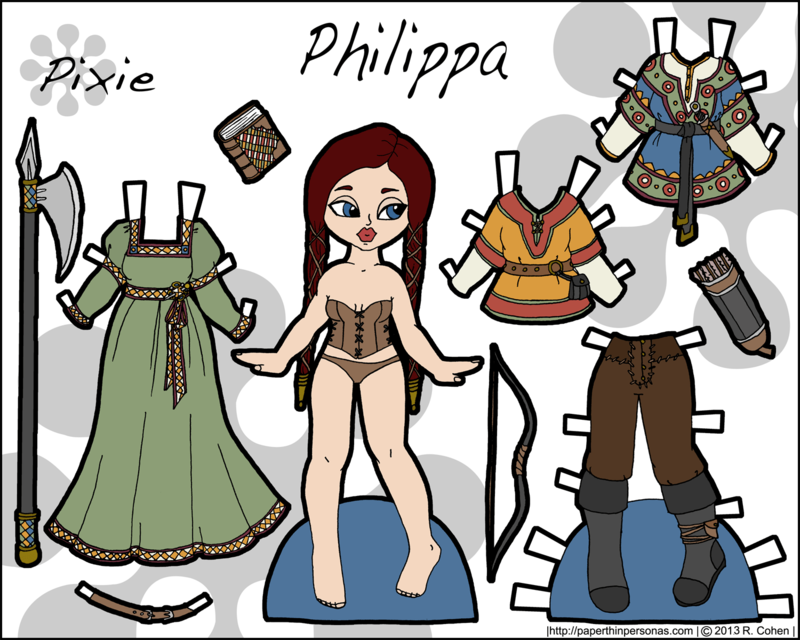 I really liked her paper dolls. I think the thing I dislike about the lips is that they all look the same to me… which isn’t what I look for in a paper doll. Still, they were a fun experiment. They’ll show up again, I’m sure, in another form on some other paper doll. I’m gonna miss Paper Doll Garden too, such beautiful clothing. She makes me want to try painting paper dolls myself. I love it when your dolls have weapons, my paper cuts feel less silly when they come from a battle axe. 🙂 This set is amazing, I think it’s a new favorite. The braids are so cute. she’s awesome! one of my fave pixies yet! i like her lips, too; i think they’re funky. Just wanted to pass along that there is a book of regency fashion plates called Fashions in the Era of Jane Austen, free for the kindle on amazon. The book itself is $55, but right now is free for the kindle if you have one. Might be worth taking a peek! Thanks, K. I will check it out. Love this paper doll. Someday, I’m going to make magnetic paper dolls of all my favorites on your website and put them in my hope chest for my future child. Just so you know, your website is the only one I check on a regular basis. It’s my coffee break favorite! Thank you, Toni. I’m so glad you like her. Your little girl paper doll is darling. 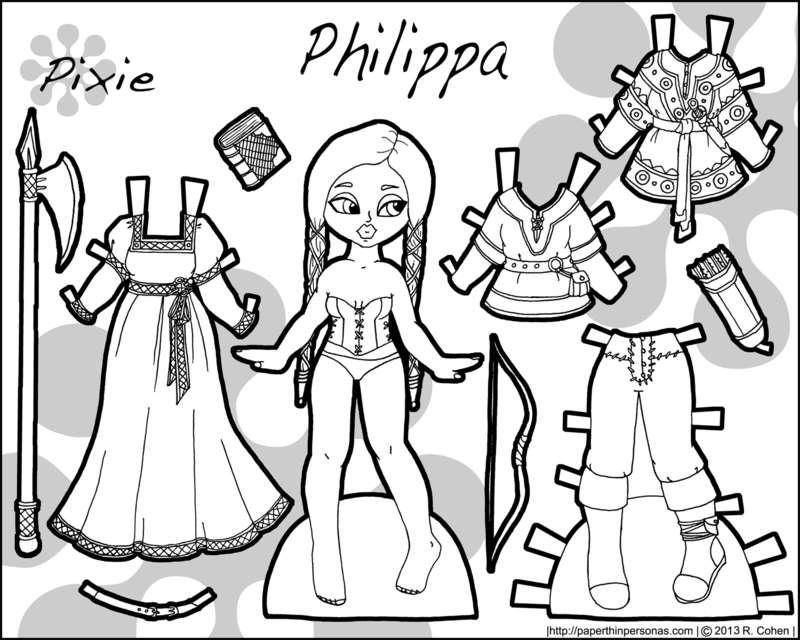 Please make me a paper doll. I would prefer one with ginger red hair, blue highlights, blue eyes, and a warrior theme. I would love some fuzzy boots!